I’ve made a wallpaper package for all of you deviantART fans. I have included 10 colors, 2 style variations and variety of resolutions. lol, what makes you say that? Wow, nice wallpaper pack bro. Well done! Absolutely obligatory for devART junkies! Thx for creating and sharing it! Thank you for the excellent DA inspire wallpaper, you’ve done a great job with these. Why was it decided that the “Blue” version would not be included in the 1680 x 1050 resolution package? Thanks man! These are awesome! 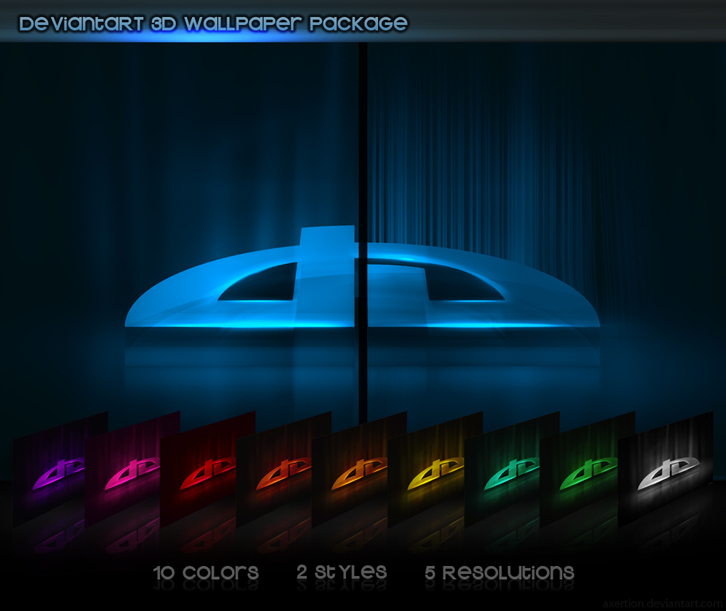 You you should change the page subject deviantART 3D Wallpaper Pack Axertion.com to more better for your webpage you make. I liked the the writing however.